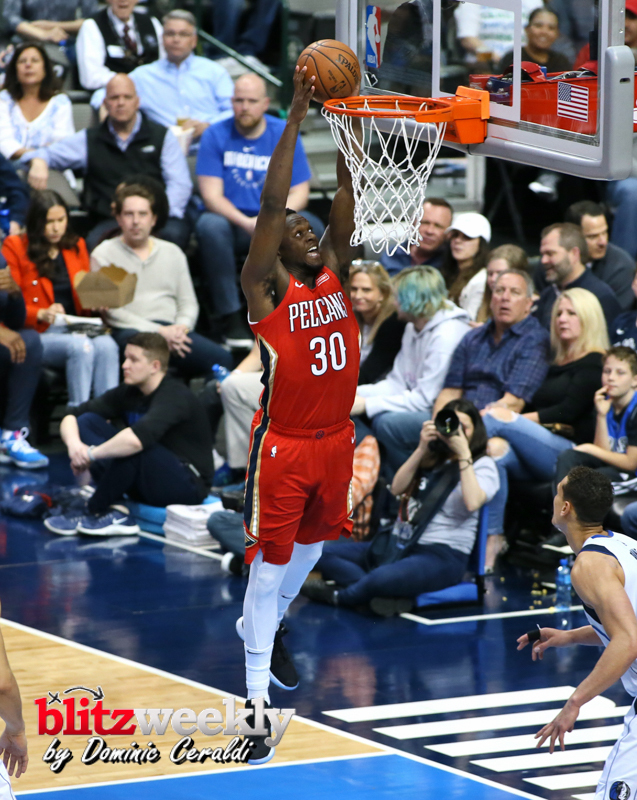 TONIGHT’S KEY RUN: The Pelicans were down seven (101-94) with under 4 minutes to go in regulation, but used a 16-8 run to take a one-point lead with 5.1 seconds remaining (Julius Randle scored 11 of New Orleans’ 16 points during the run). 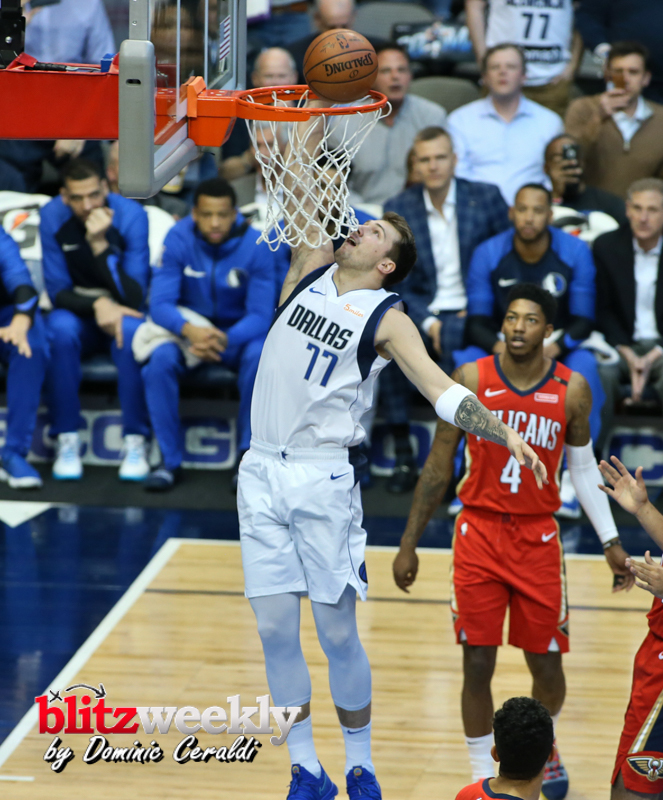 Luka Dončić was fouled with 1.9 seconds left in regulation and split a pair at the line to force overtime. 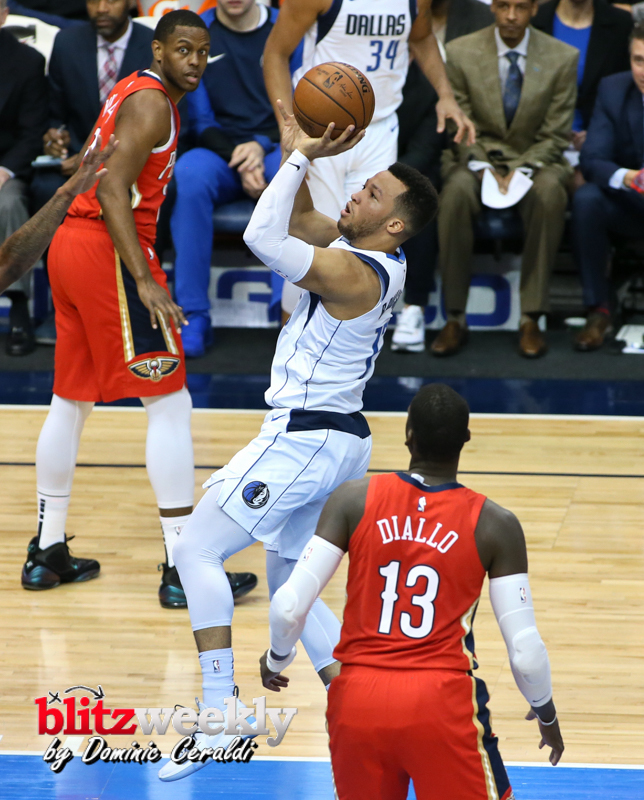 Jalen Brunson opened overtime with a 3-pointer to put Dallas up 113-110, but New Orleans proceeded to go on a 7-0 run and took a four-point lead (117-113) with 2:52 left in overtime. 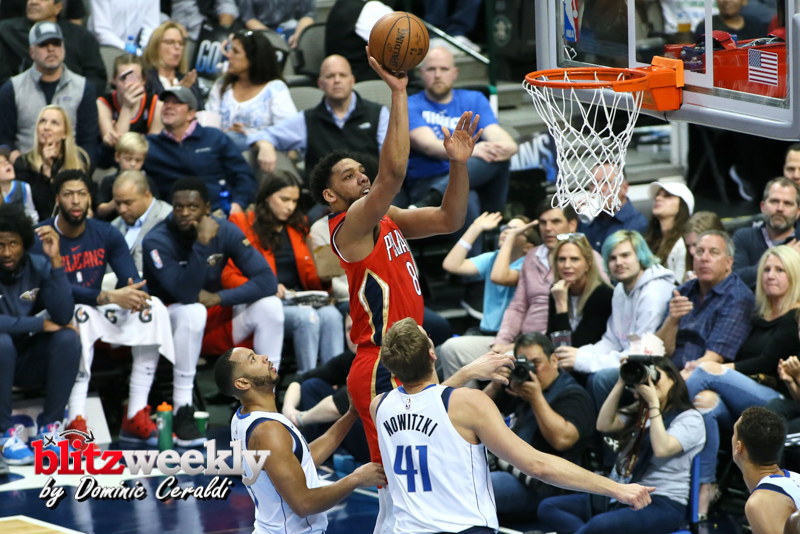 The Pelicans won by a final score of 129-125 in OT. 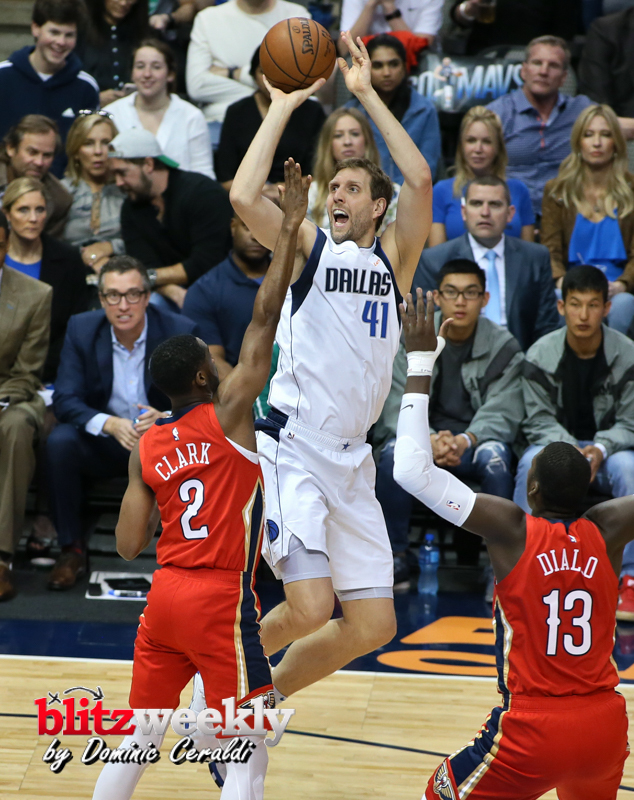 • Mavericks forward Dirk Nowitzki passed Wilt Chamberlain (31,419) for sixth place on the NBA’s all-time scoring list with a 20-foot face-up jumper over Kenrich Williams at the 8:35 mark of the first quarter (the basket gave him four points for the game and 31,420 for his career). 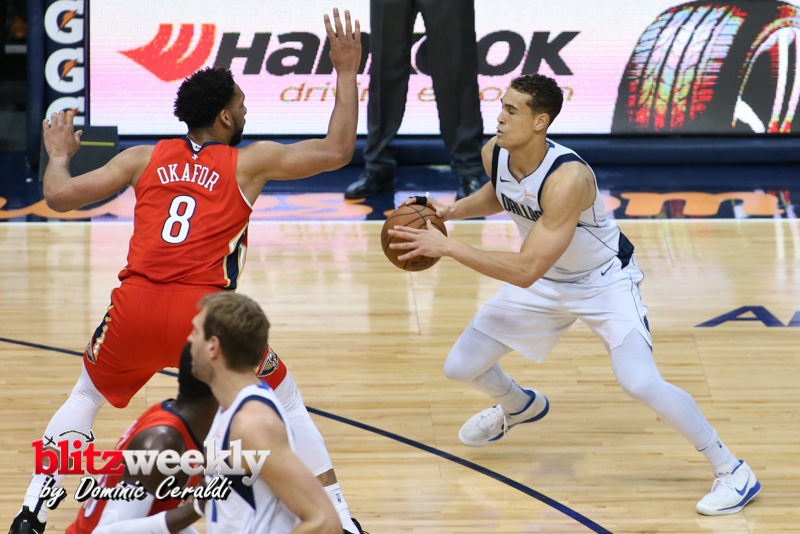 He was assisted by rookie Luka Dončić on the play. 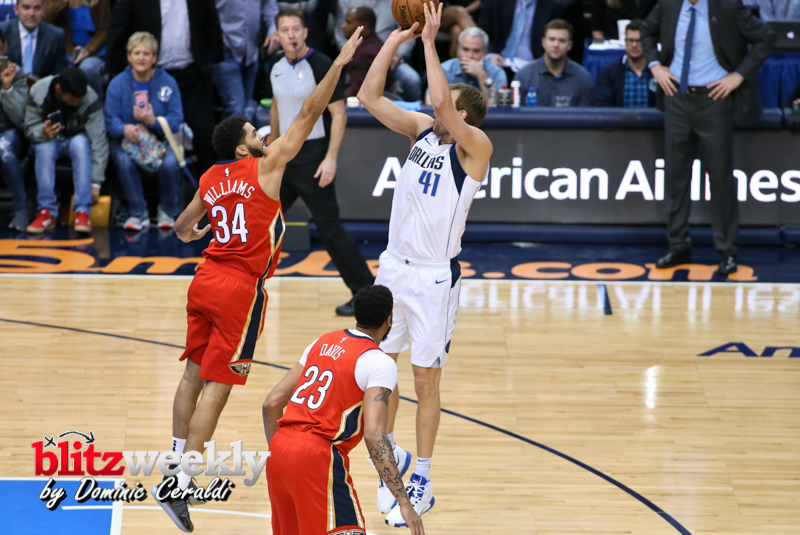 Nowitzki finished with eight points against the Pelicans (all in the first half) and now has 31,424 points for his career. 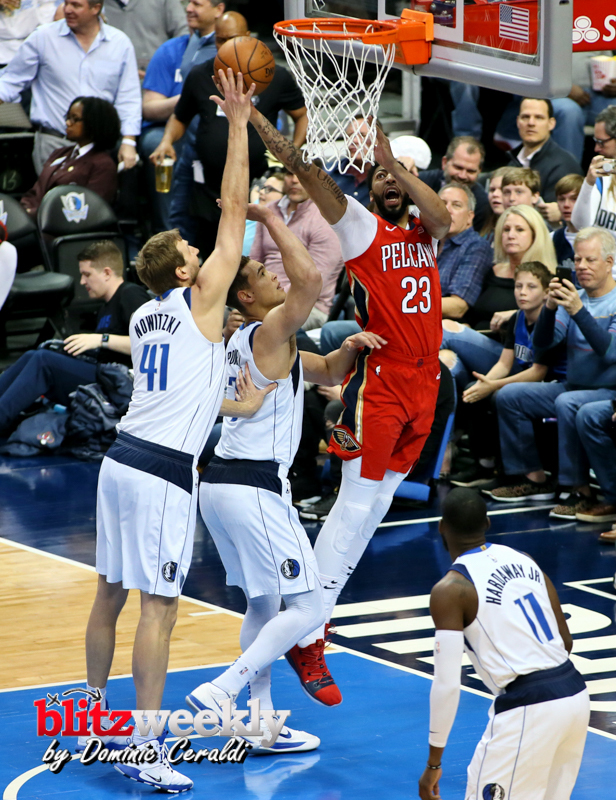 Kareem Abdul-Jabbar (38,387), Karl Malone (36,928), Kobe Bryant (33,643), LeBron James (32,439) and Michael Jordan (32,292) are now the only players in league history with more career points than Nowitzki. 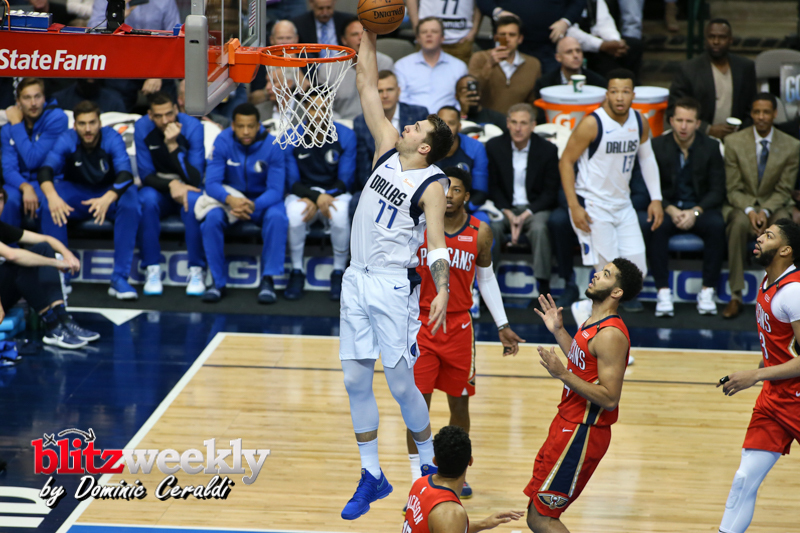 • Mavericks rookie Luka Dončić notched his fifth triple-double of the season with a team-high 29 points to go along with a game-high 13 rebounds, a team-high 10 assists and two steals in 39 minutes. 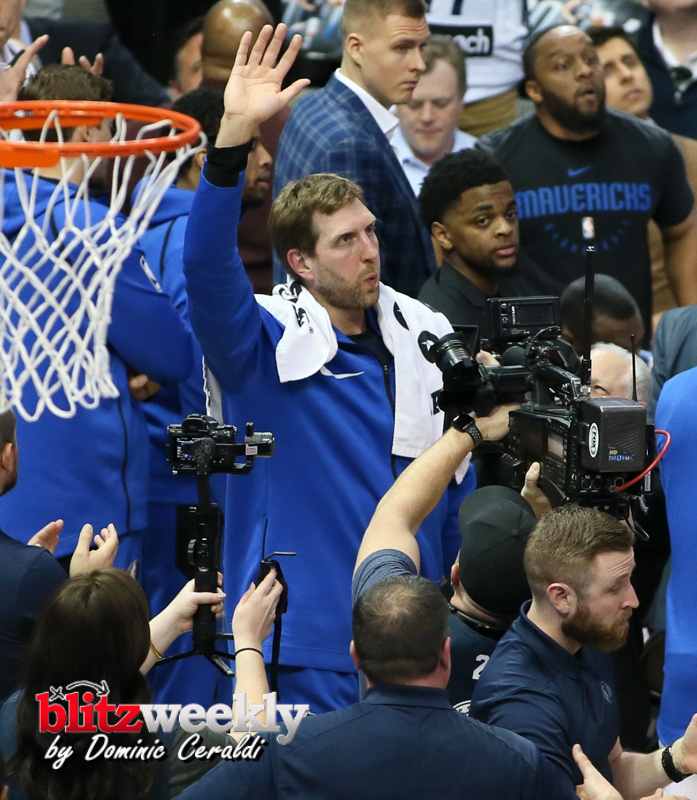 His fifth triple-double set a new Mavericks rookie record. 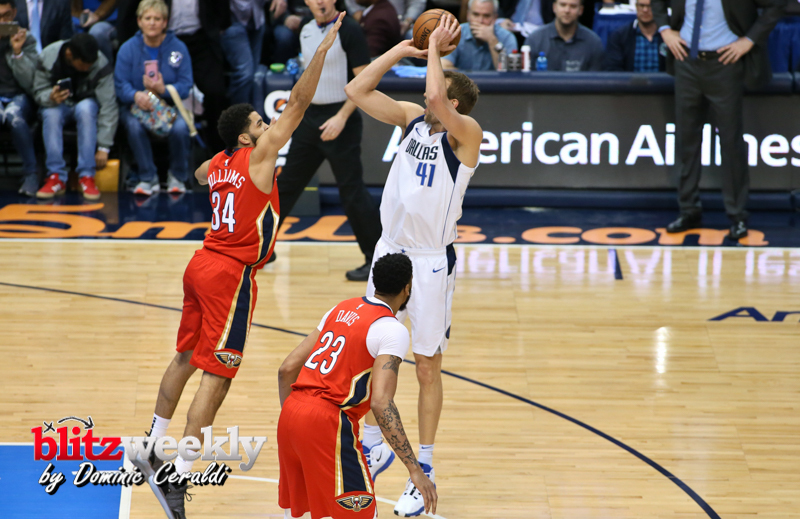 The previous most triple-doubles by a first-year Maverick was four by Jason Kidd in 1994-95. 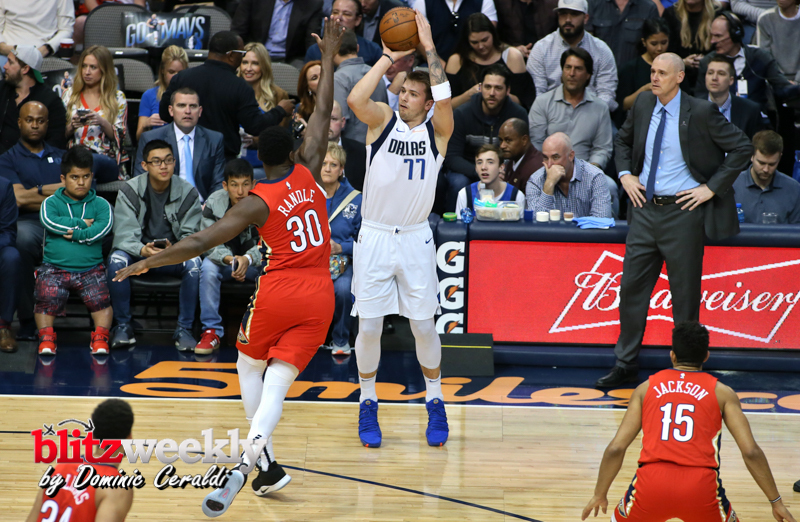 Dončić’s five triple-doubles are also the second-most by any Dallas player in any one season in team history. 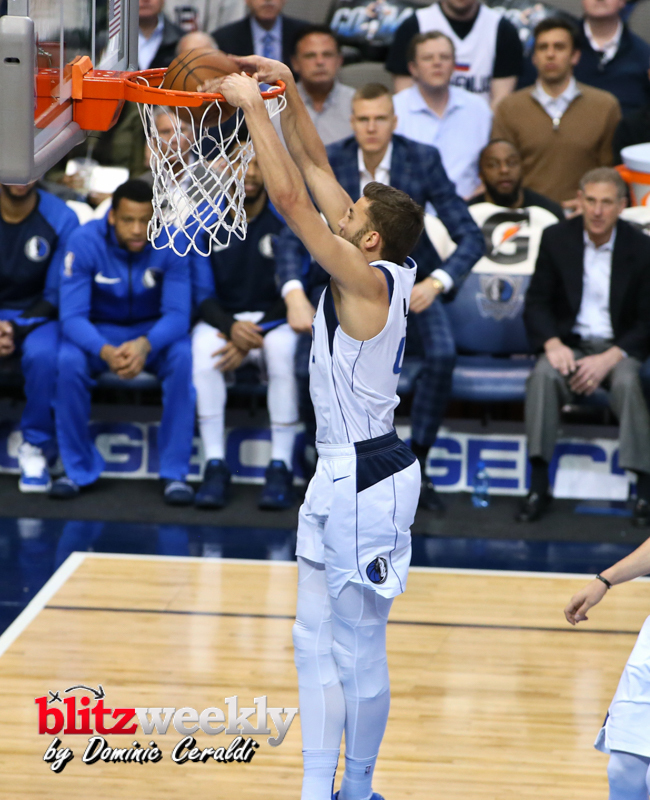 Kidd, who had nine in 1995-96, is the only Maverick to record more in any one year. 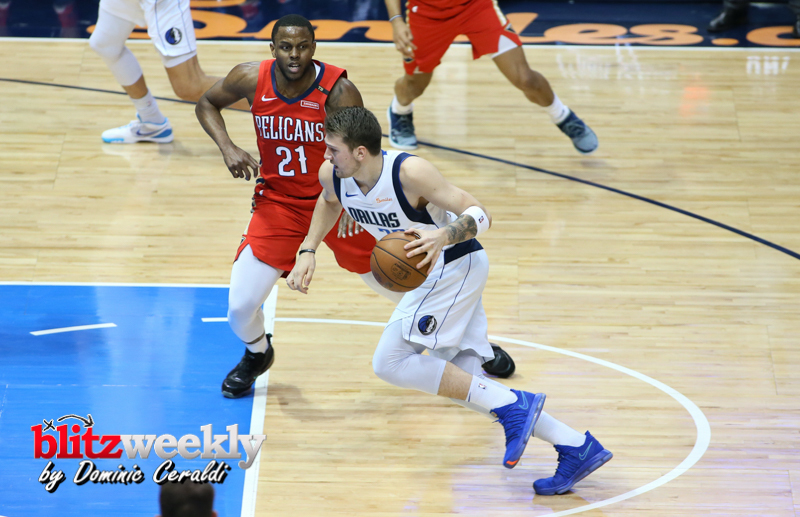 • Dončić posted his 38th 20-point effort of the season. 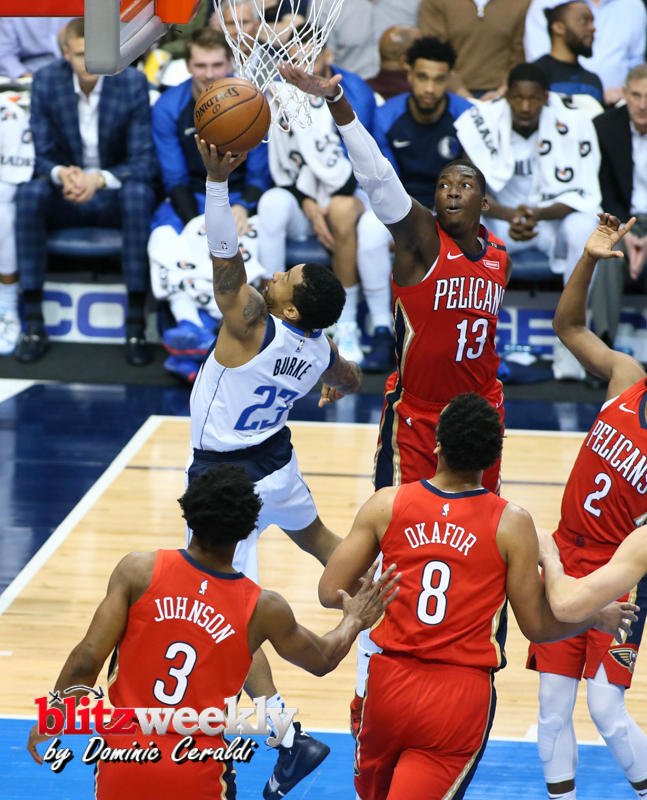 Jay Vincent (53 in 1981-82) is the only Mavericks rookie to produce more 20-point outings. 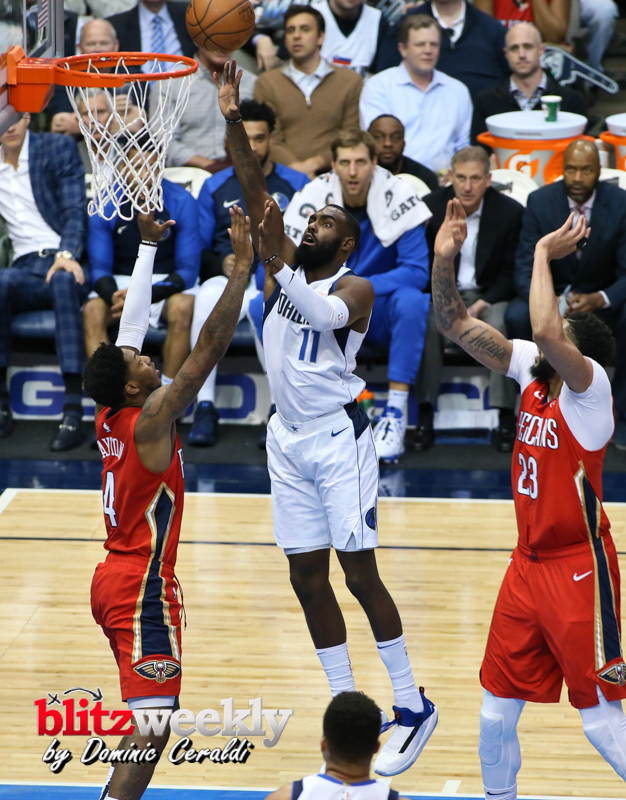 • Mavericks guard Tim Hardaway Jr. totaled 21 points, six rebounds, two assists, one steal and one block in 34 minutes. 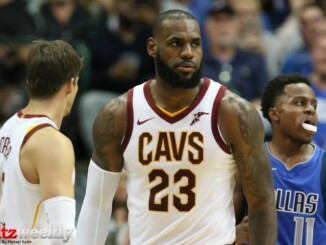 It marked his second straight 20-point game (he had 22 on his 27th birthday vs. Cleveland 3/16/19). 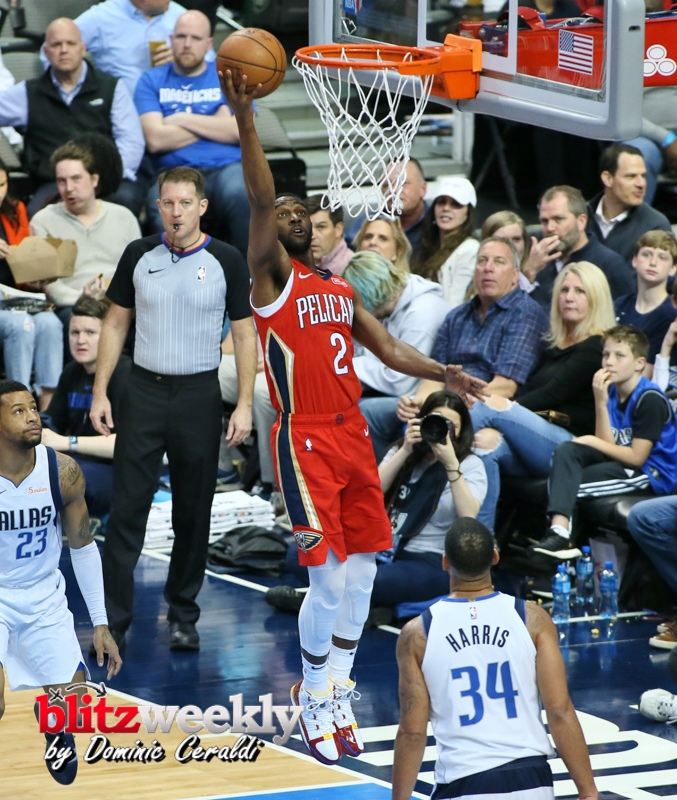 Hardaway has now scored 20-plus points seven times with Dallas (and 32 times on the season). 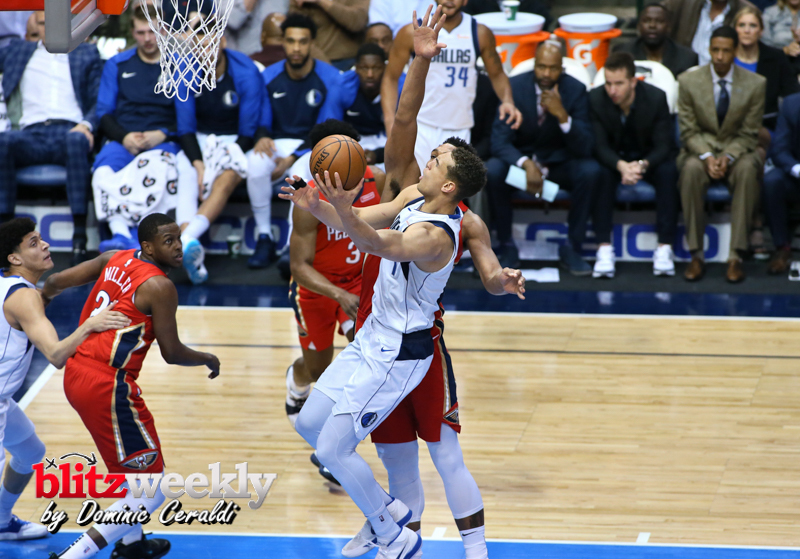 • Mavericks center Dwight Powell totaled 16 points (6-8 FGs, 1-2 3FGs, 3-4 FTs), eight rebounds and two steals in 35 minutes. 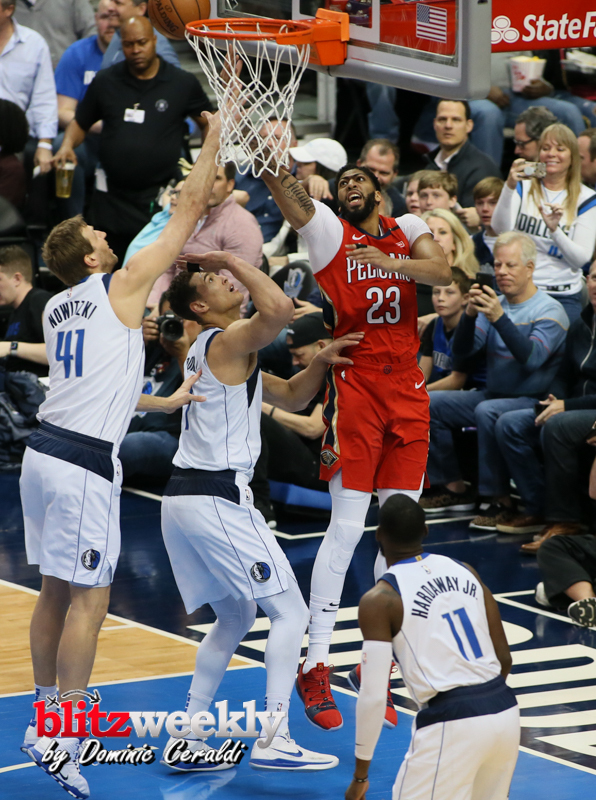 He scored in double figures for the 16th time in his last 18 games, after he scored in double digits 16 times in his first 48 games of the season. 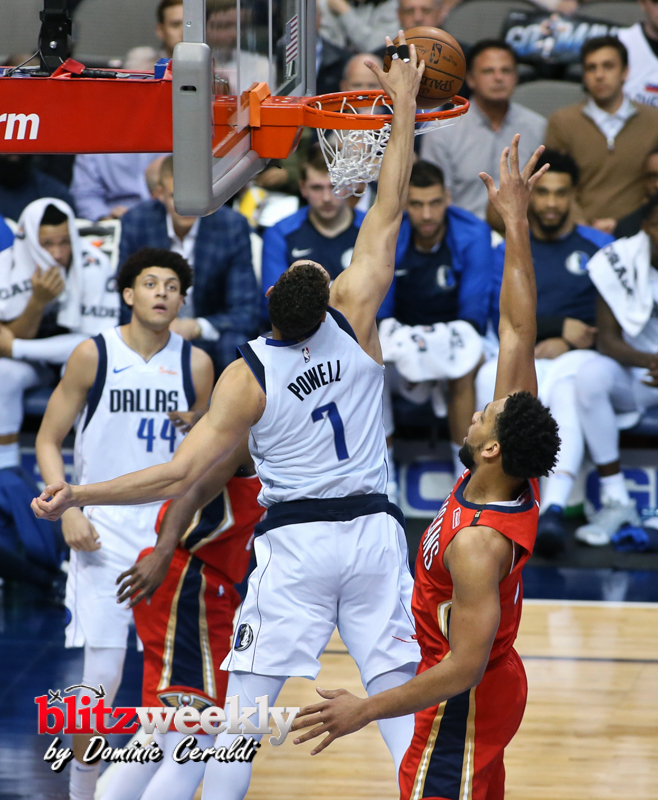 Powell is averaging 15.1 points, 7.1 rebounds and 2.2 assists per game over his last 18 games (2/6-3/18). 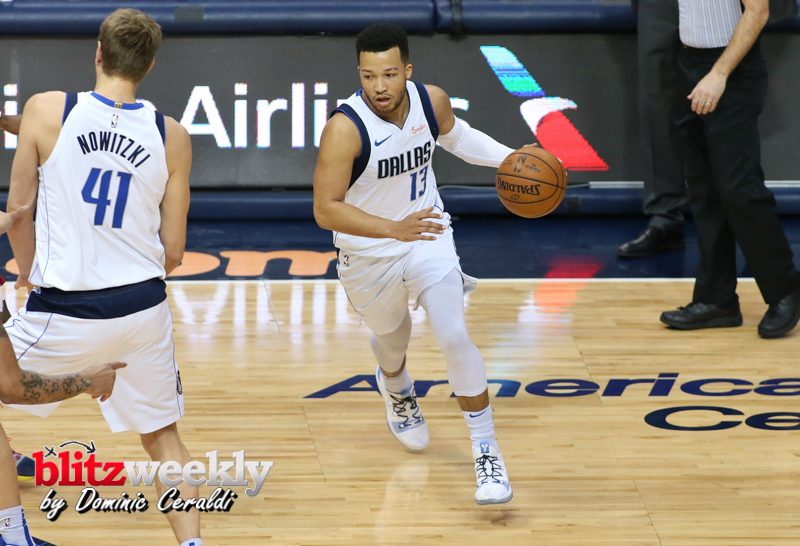 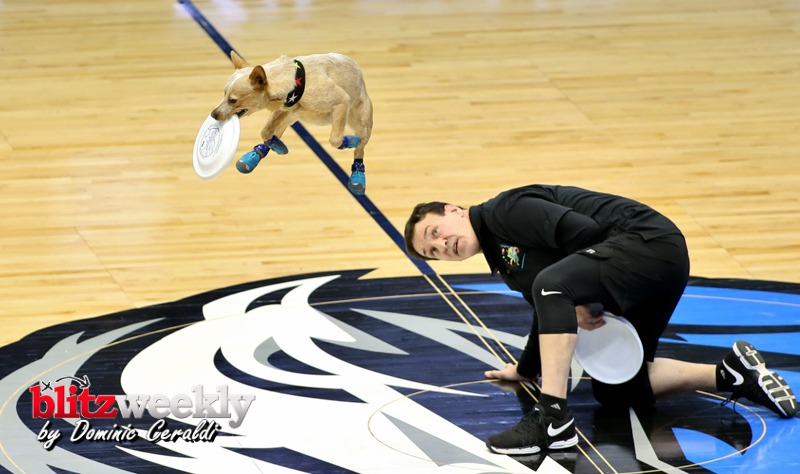 • Mavericks guard Jalen Brunson had 14 points, including Dallas’ first five points of overtime, to go along with three rebounds, four assists, one steal and one block in 39 minutes. 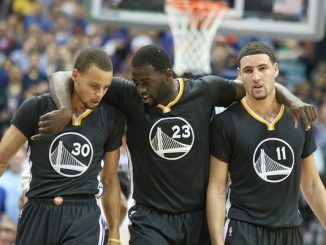 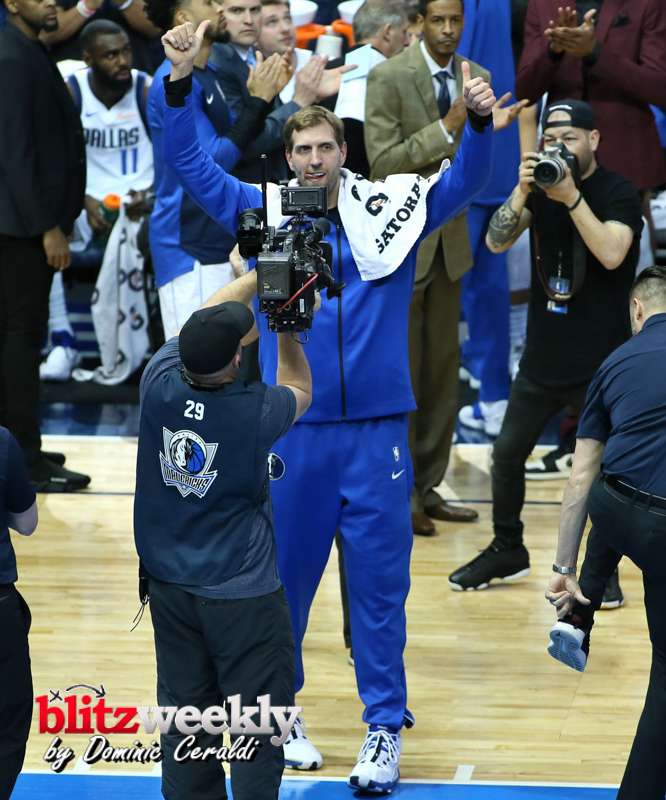 He extended his career-best double-figure scoring streak to eight games. 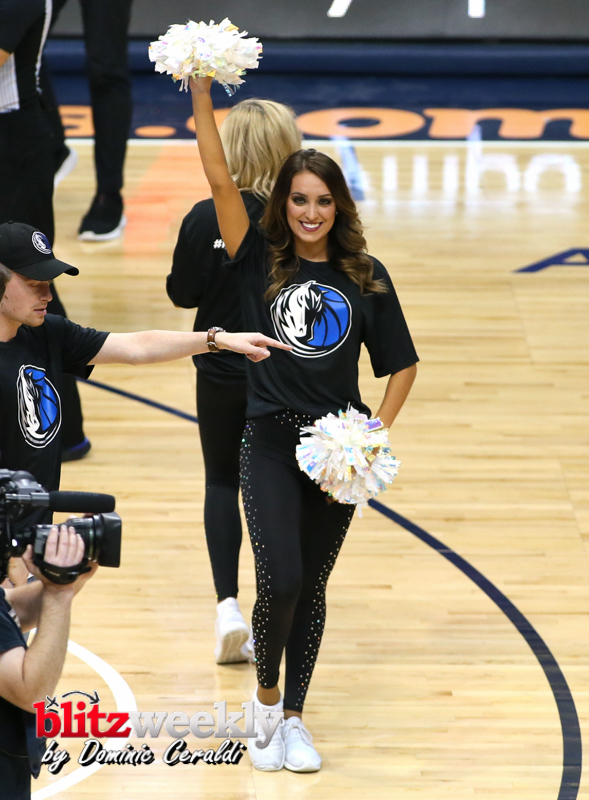 Over his last eight contests (all starts), Brunson is averaging 17.6 points, 3.5 rebounds and 5.1 assists in 32.8 minutes per game. 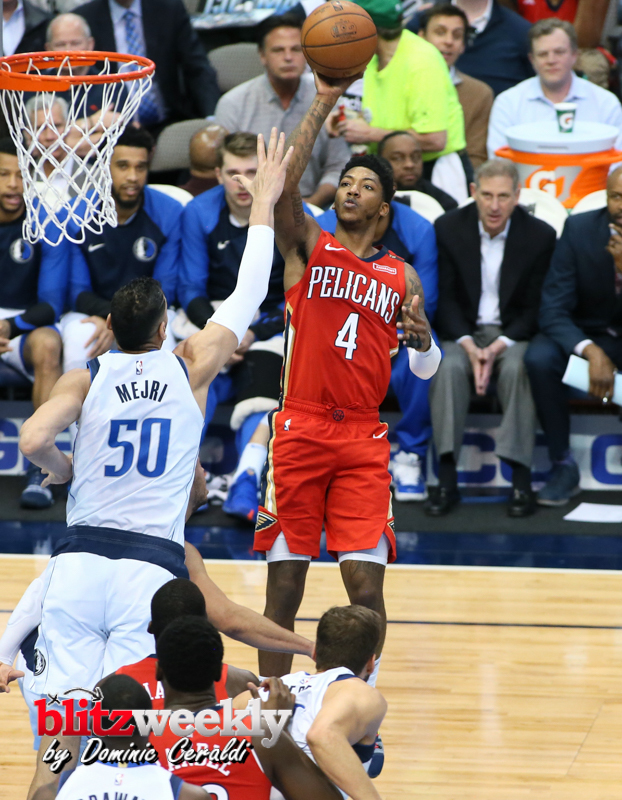 He has shot 57.4 percent (54-94 FGs) from the field, 40.6 percent (13-32 3FGs) from deep and a perfect 20-of-20 (1.000) from the foul line in that span (3/4-3/18). 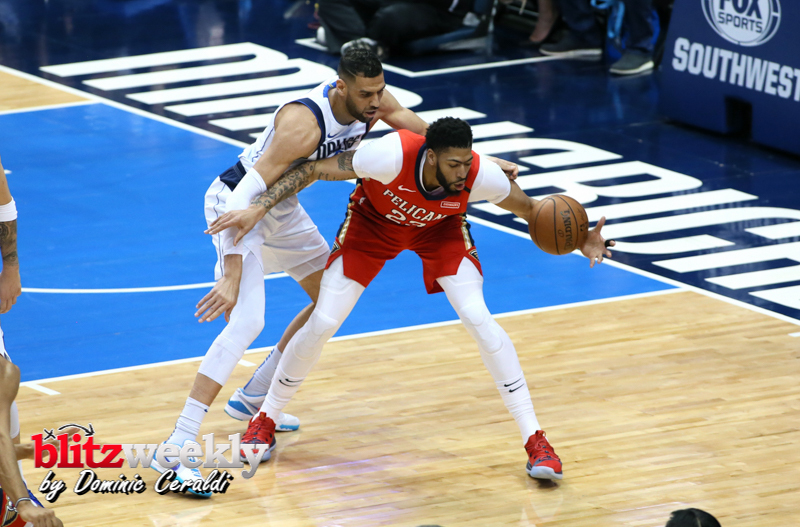 • Mavericks center Salah Mejri recorded a season-high nine points (4-6 FGs, 1-2 3FGs) to go along with seven rebounds, one assist and one steal in 14 minutes off the bench. 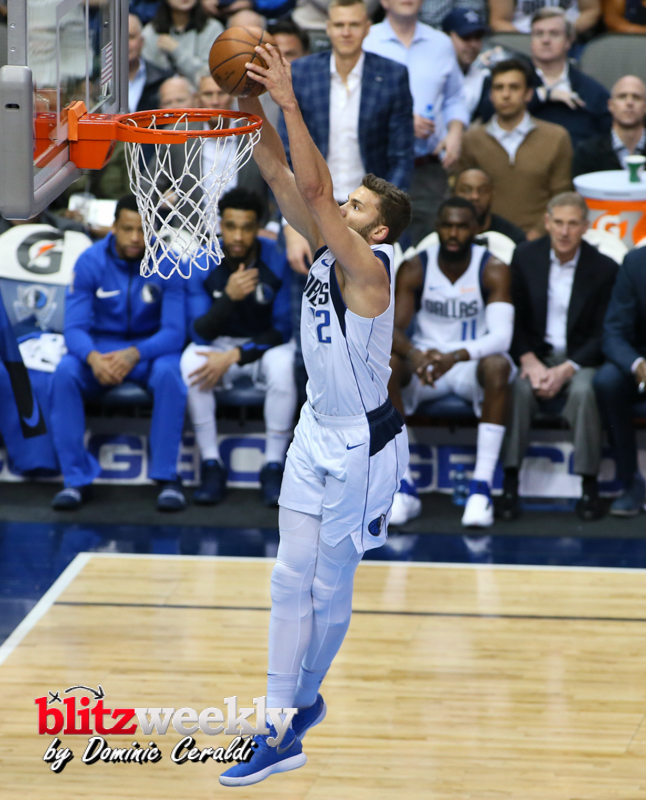 His previous high-scoring effort this season was eight (twice). 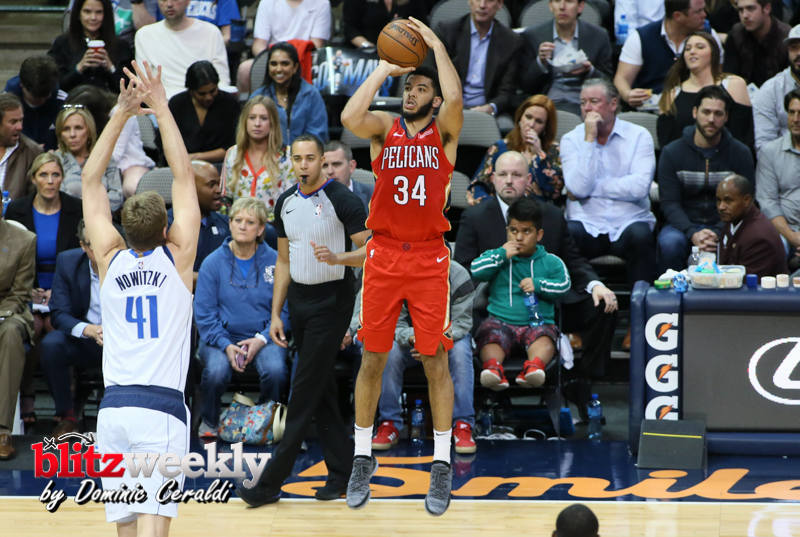 Mejri knocked down his third 3-pointer of the season (fourth career). 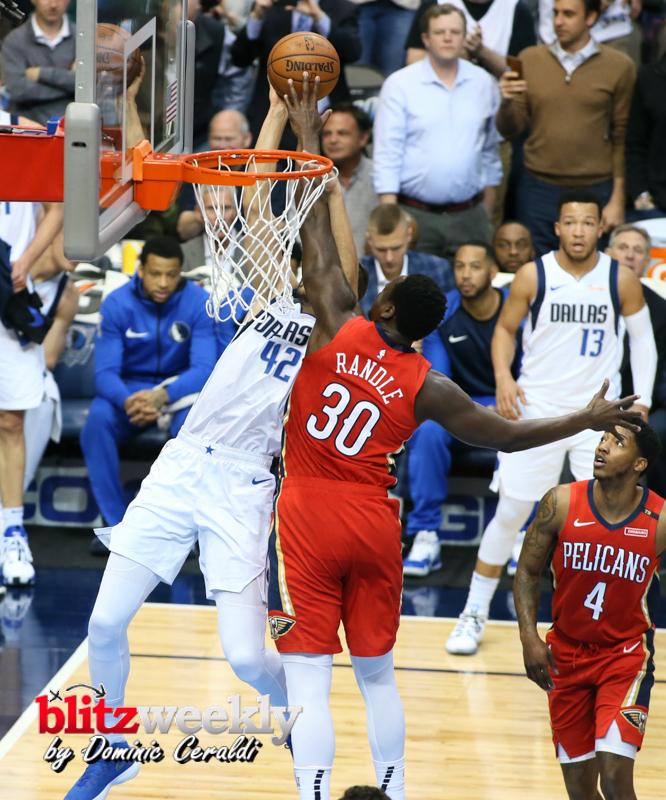 • Dallas native Julius Randle registered a game-high 30 points (14-24 FGs, 2-4 3FGs) to go along with nine rebounds, four assists, one steal and one block in 34 minutes. 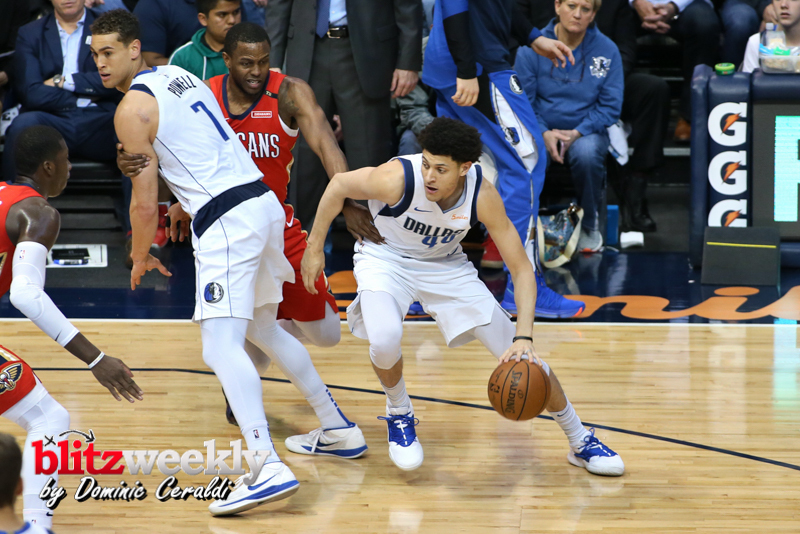 Randle produced his eighth 30-point game of the season (10th career). 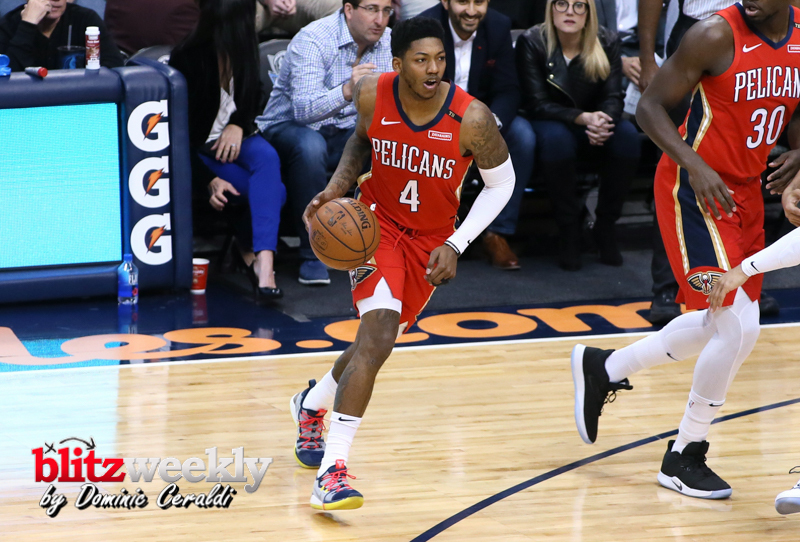 • Pelicans point guard Elfrid Payton recorded his fifth consecutive triple-double (sixth of the season, 16th career) with 19 points, 10 rebounds and a game-high 11 assists in 37 minutes. 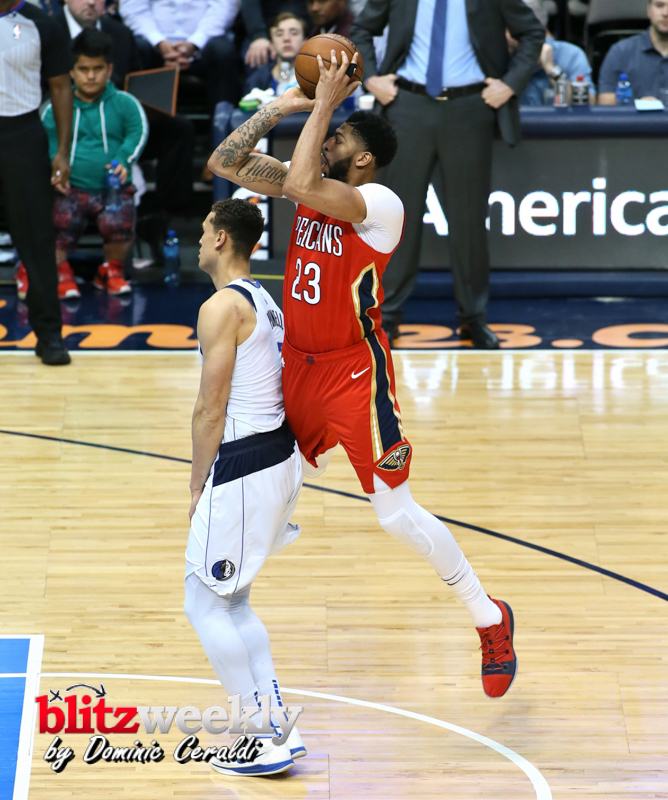 He joins Russell Westbrook (four such streaks) and Michael Jordan (one) as the only players in the past 35 seasons to record a triple-double in at least five consecutive games. 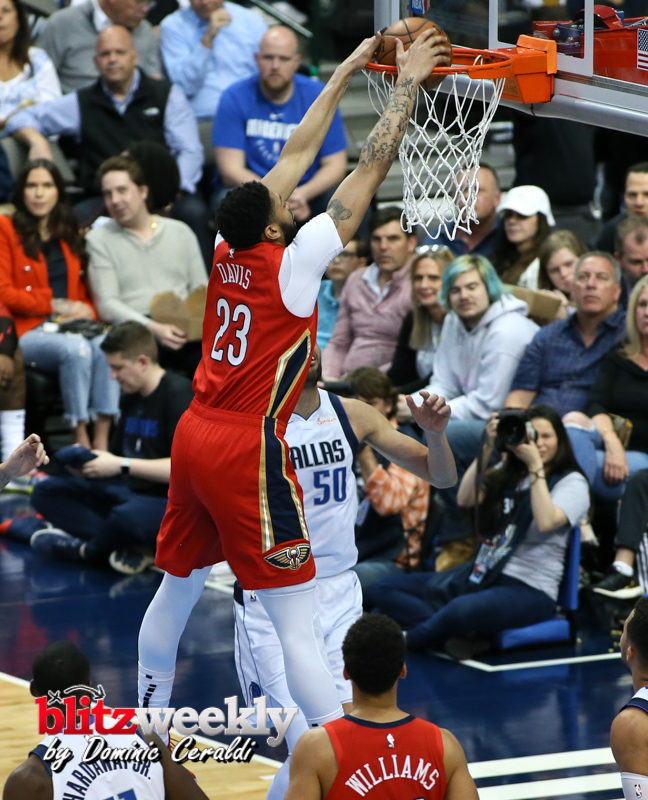 • Pelicans forward Anthony Davis had 20 points (8-11 FGs, 1-2 3FGs, 3-3 FTs), six rebounds, five assists, one steal and one block in 21 minutes. 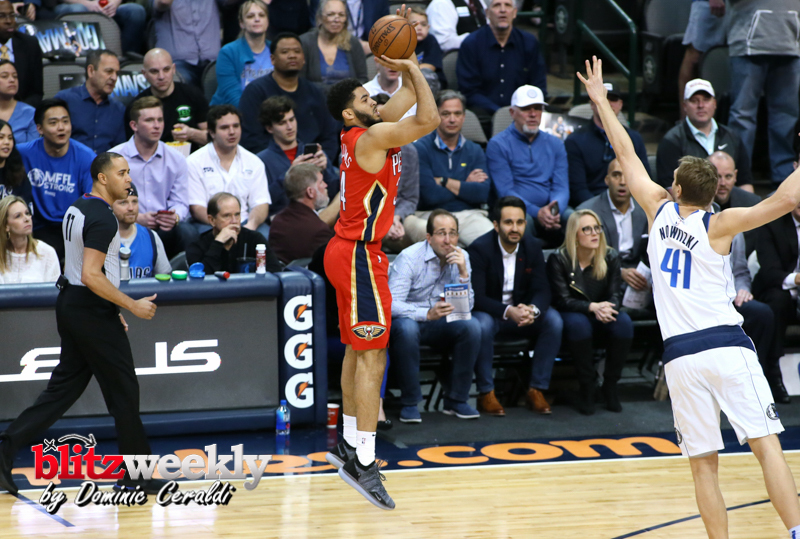 He scored 20-plus points for the 40th time in 55 games this season. 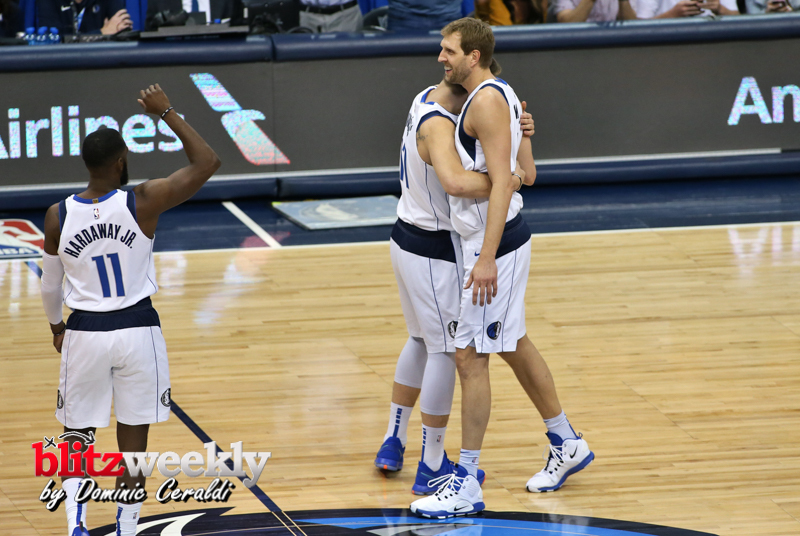 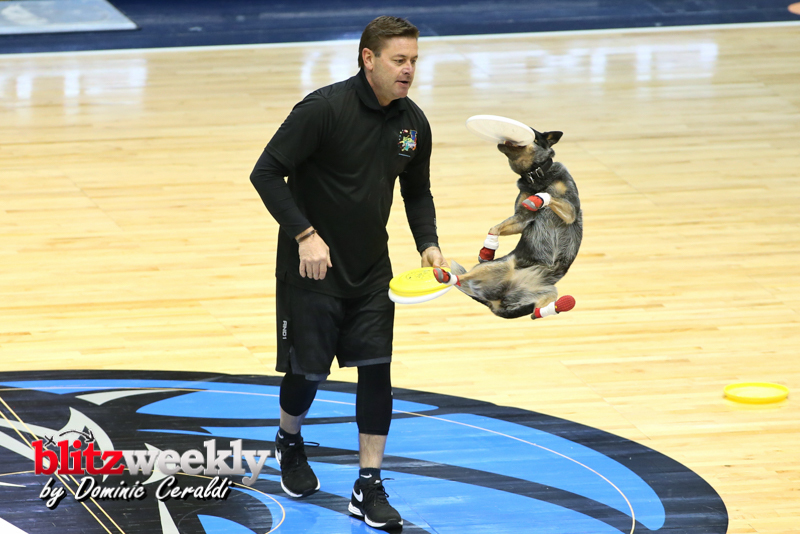 • The Mavericks played their third overtime game of the season (Dallas fell to 0-3 in OT games this year). 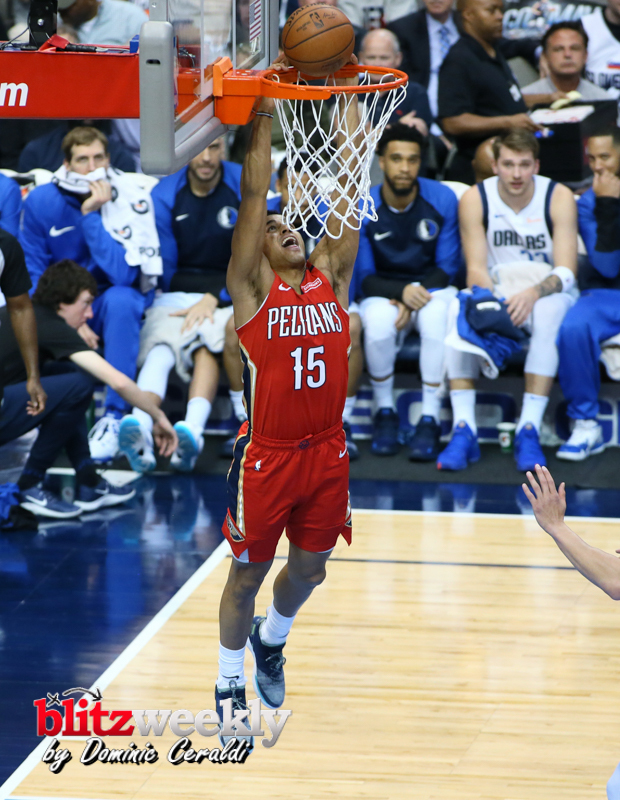 The Pelicans played their second overtime game of the year (New Orleans improved to 1-1 in OT in 2018-19). 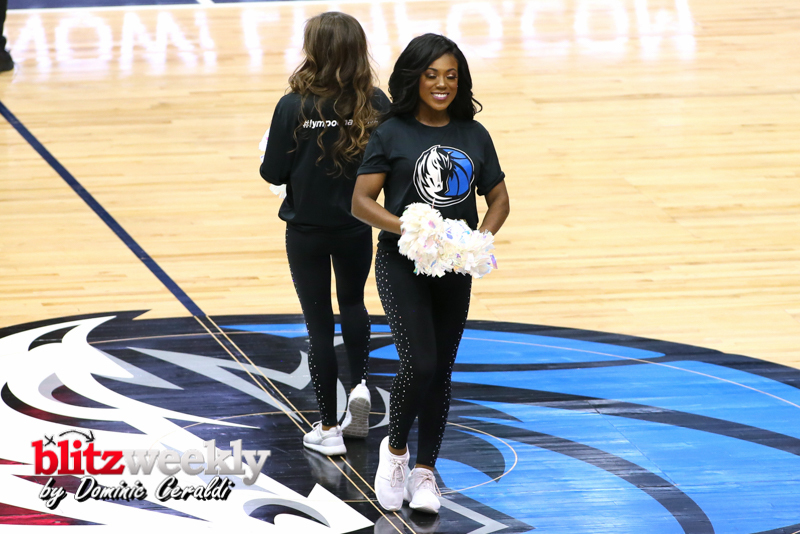 • The score was tied at 26 with under 2 minutes remaining in the opening quarter, but the Mavericks used a 10-2 run spanning the first and second periods to go up by eight (36-28). 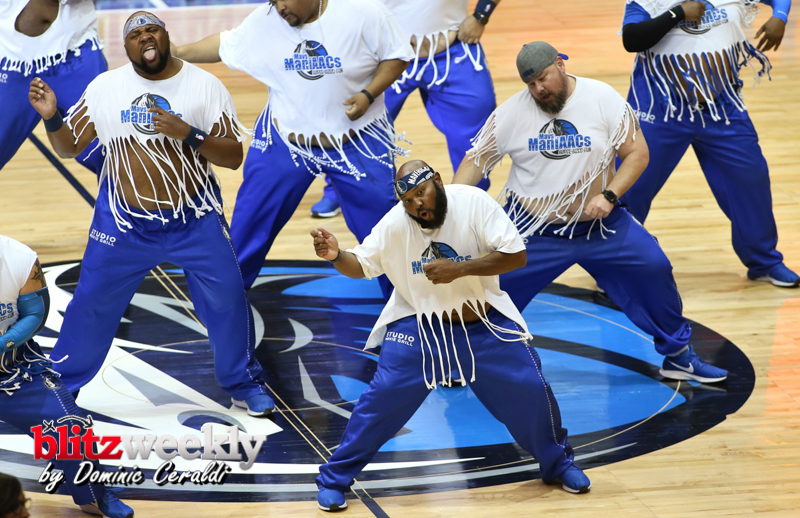 Dallas led by as many as 12 in the second stanza and held a 10-point advantage (59-49) at the half. 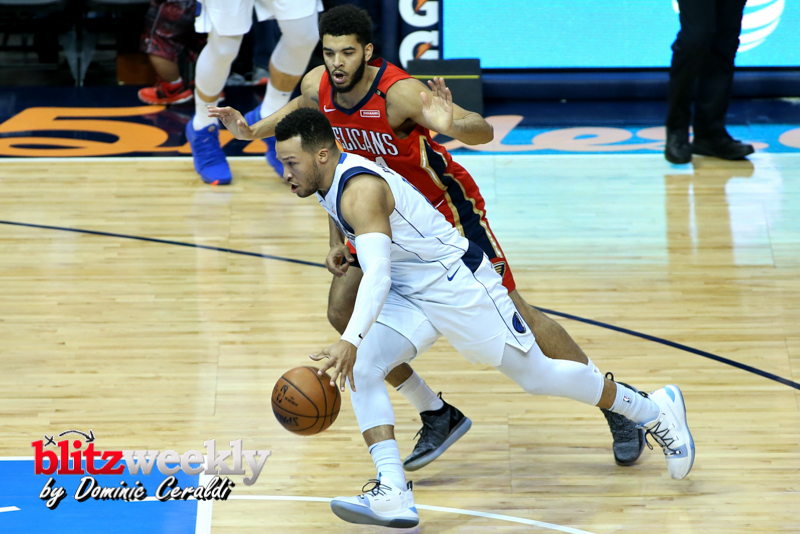 • The Pelicans began the third quarter on an 11-0 run and cut a 12-point half-time deficit (59-49) down to one (61-60) less than 3 minutes into the start of the period. 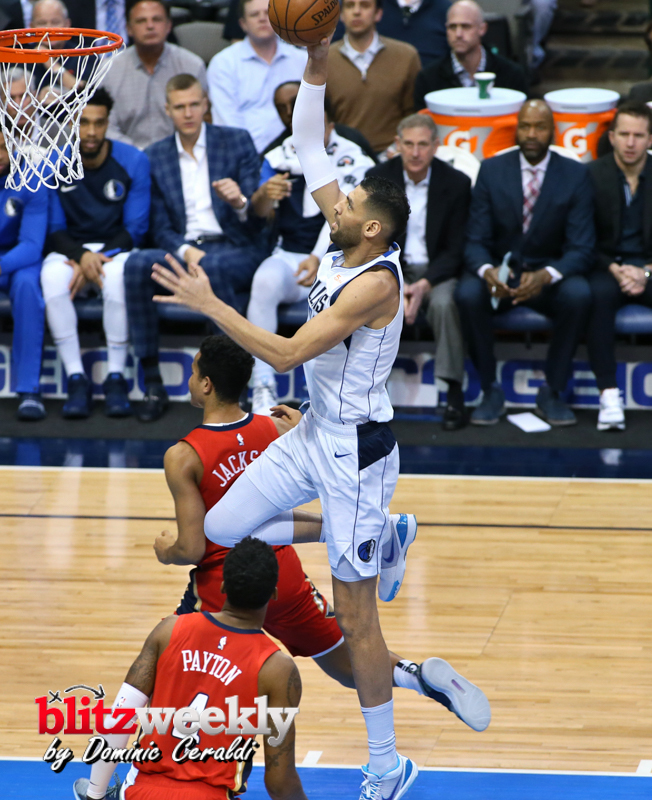 The Mavericks responded with six unanswered points (courtesy of a Dwight Powell three-pointer and a Luka Dončić three-point play) to push their lead back out to seven (67-60) with 8:37 left in the third. 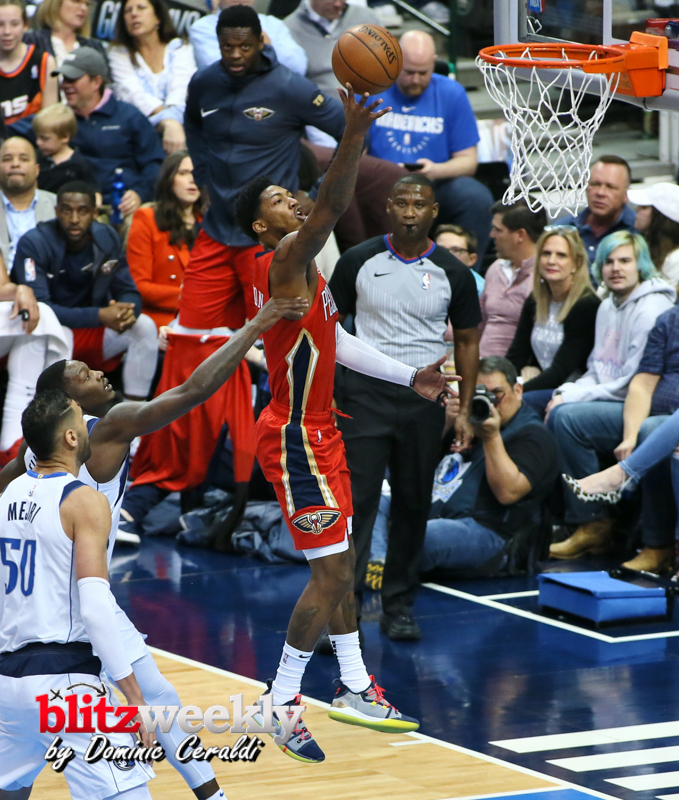 New Orleans trailed by eight (74-66) with under 6 minutes remaining in the third frame, but closed the quarter on an 18-5 run and took a five-point advantage (84-79) into the fourth. 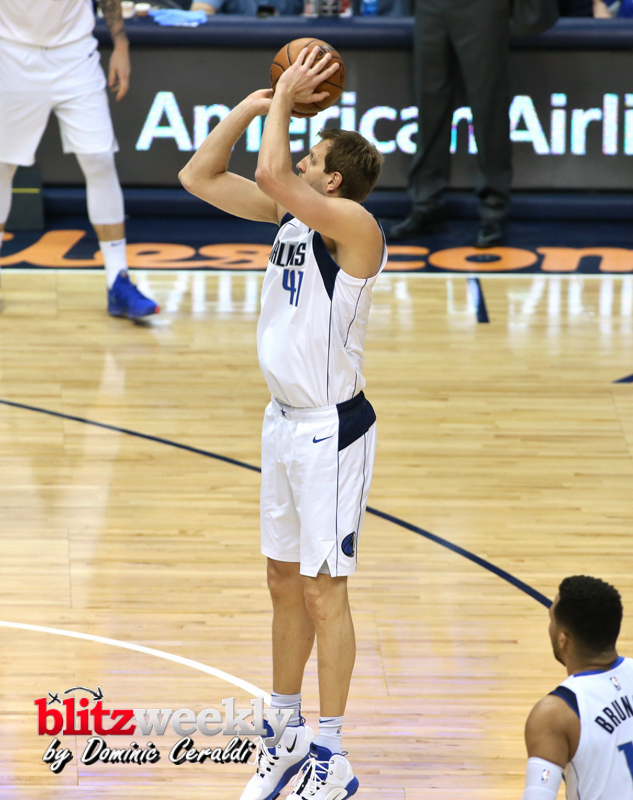 • Mavericks forward Maxi Kleber left the game late with a left wrist sprain and did not return. 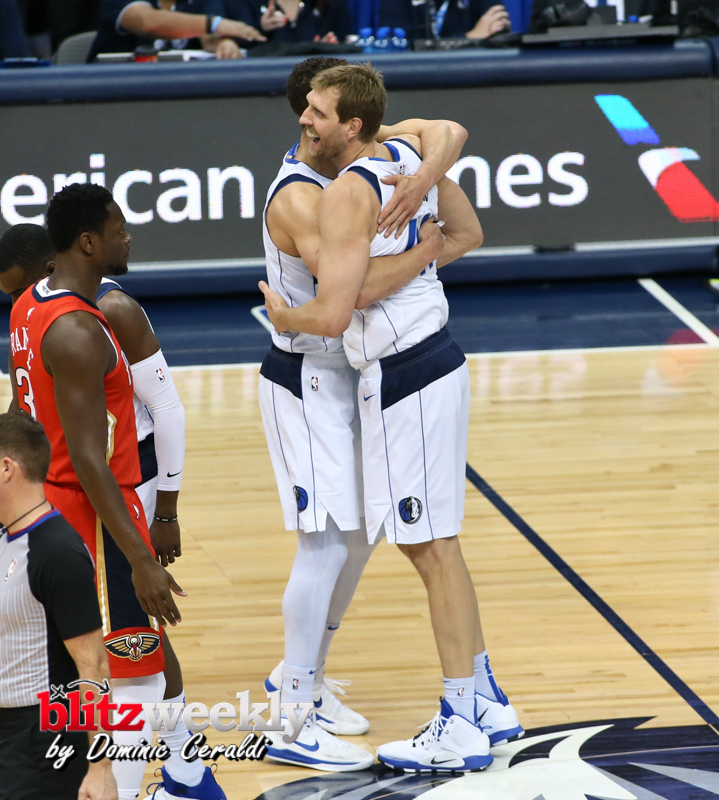 J.J. Barea (right Achilles surgery) and Kristaps Porzingis (left knee surgery) remained out for Dallas due to injury/recovery. 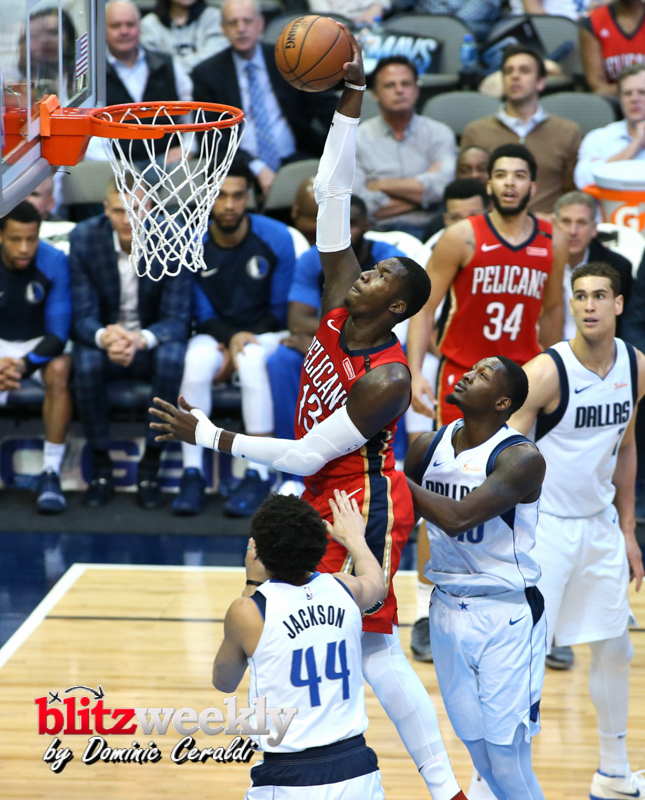 Jrue Holiday (lower abdominal strain), E’Twaun Moore (left quadriceps contusion) and Trevon Bluiett (right thumb surgery) all missed the game for New Orleans due to injury. 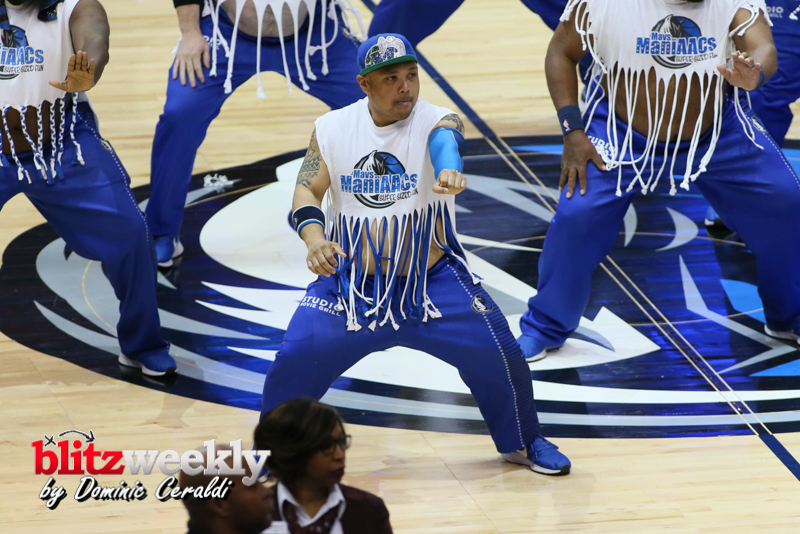 • The attendance for tonight’s game was 20,276. 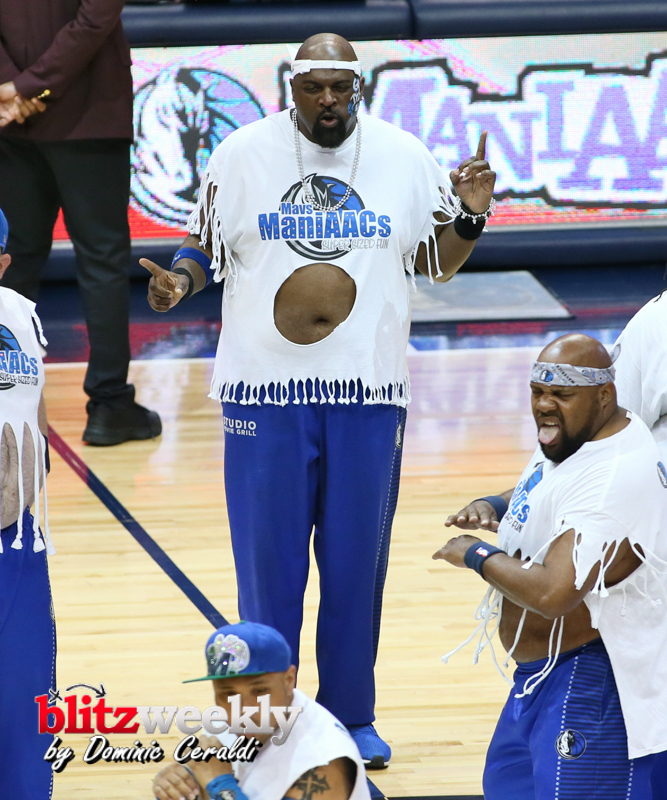 The Mavericks have now sold out 714 consecutive regular-season home games, which is an NBA-best sellout streak. 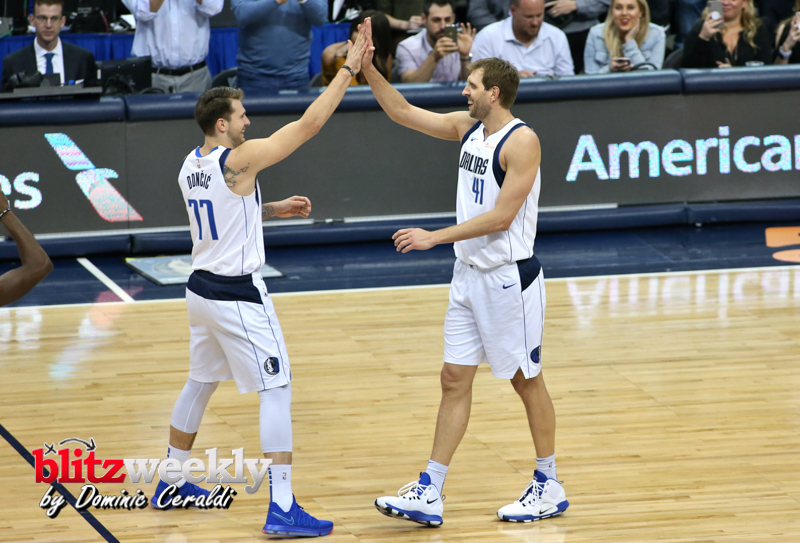 The streak began on 12/15/01 and Dallas has sold out an additional 67 playoff games during that same stretch.